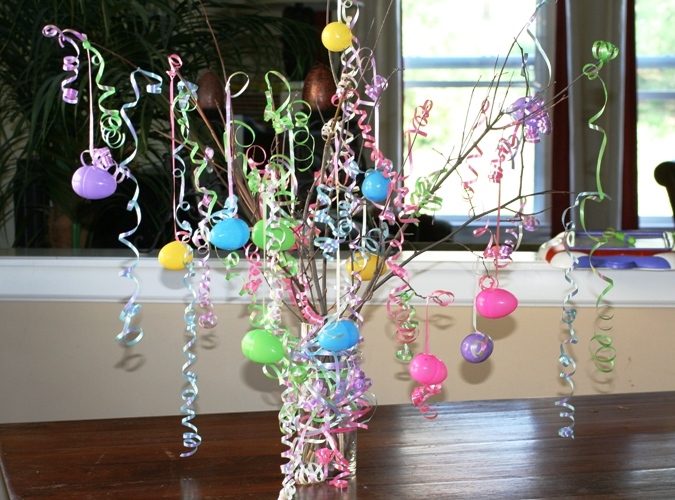 Today my mother and my little girl made one of the most unique Easter Crafts Ideas I have seen: an Easter Tree. 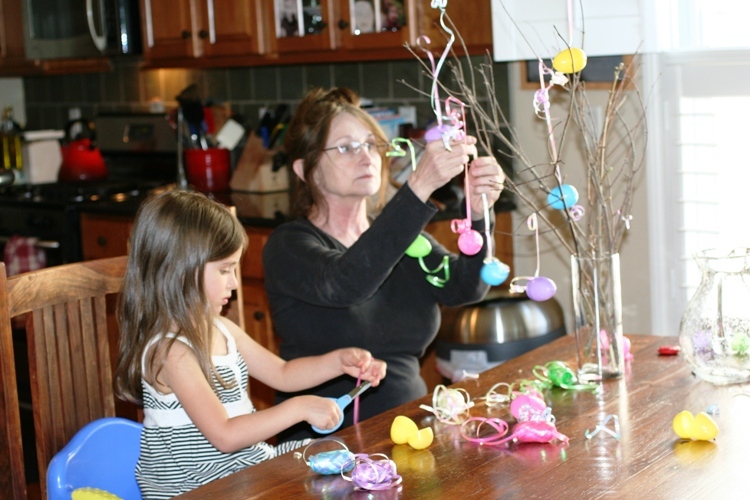 My mom is definitely the crafty one in the family, and my daughter LOVES to do any Easter crafts ideas that you can think of, so as you can see they were really into it! This tree came straight from my mom’s creative mind. She has been wanting to do this with Ainsley for a while now. I am so glad they got to do this today. It was the highlight of her week! You can do this craft and spend next to nothing. 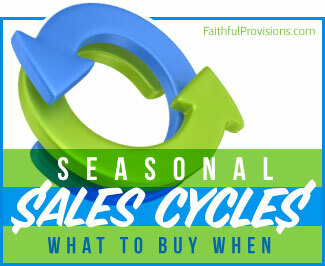 The only thing that will cost you is the price of a new bag of eggs if yours are already pulled apart. The twigs are free in your yard, and most moms have some type of wrapping ribbon, yarn, or string laying around. For an added touch, you can even spray the twigs with white spray paint. For this to work, you need the egg halves to still be attached. My mom picked up a bag for $1 at the Dollar Store. Here’s how they did it. Arrange the twigs in a vase. 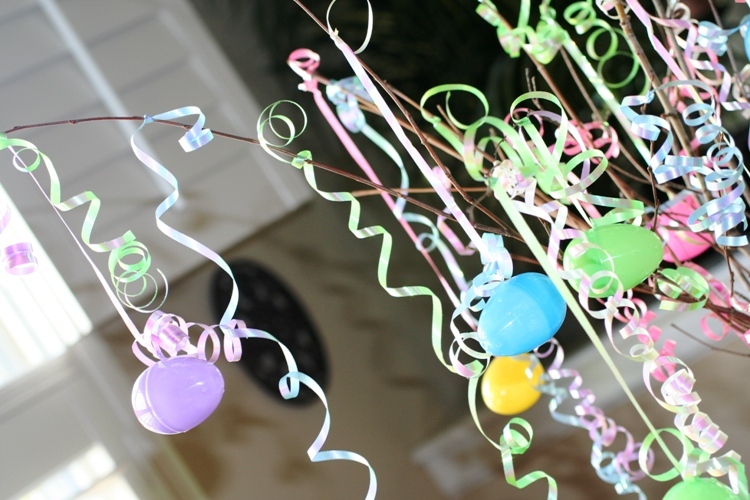 Cut the ribbon into long strings, so that you have enough to tie it around the egg and tie from tree to hang. Gently open the egg. 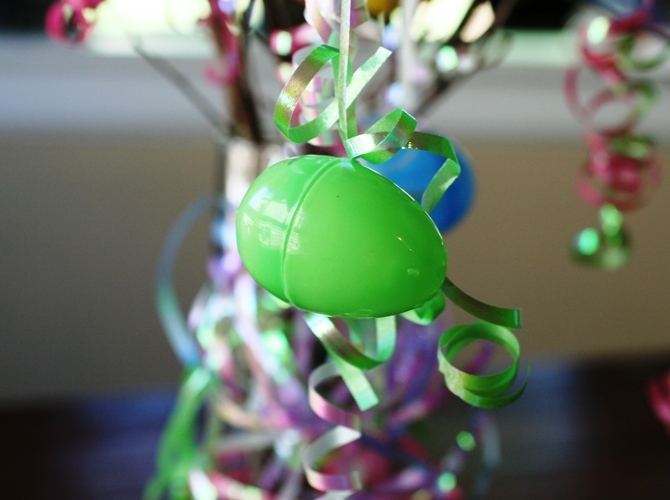 Take the ribbon and tie it around the center part of the egg that attaches the top and bottom. It is best to use new eggs that have never been pulled apart. Then close the eggs. Tie the other end of the ribbon to one of the branches. Now curl any remaining ribbon that is hanging. Take any yarn, string, or ribbon and decorate the vase as well, if you want. Find more Easter Crafts Ideas on Faithful Provisions! Super cute!! I love it! 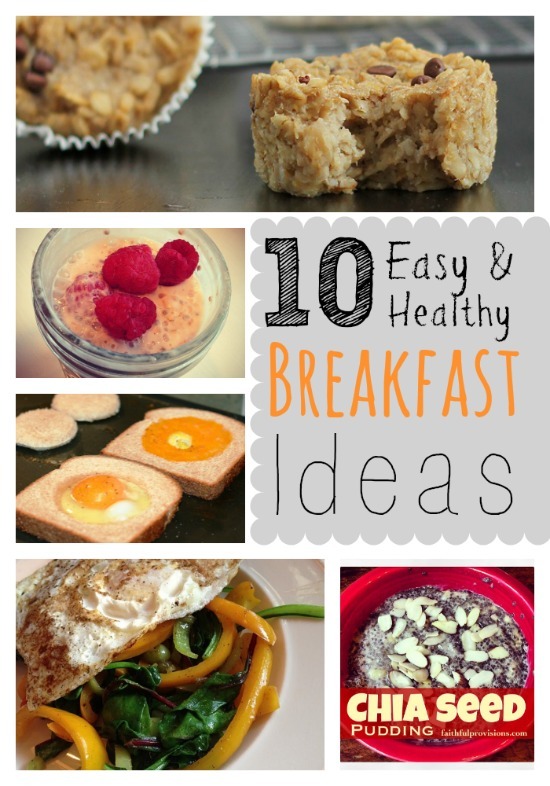 .-= Mandy´s last blog ..Bedtime Routines =-. This is beautiful. What a great memory for them. I did this one year with mini birdhouses – the ones that are about 3 or 4 inches high. You can buy them in the craft store and let the kids paint them. You will need to use bigger twigs for your ‘tree’ and put an eye hook into the top of the birdhouse to hang it. Happy Easter Everyone. God Bless! So cute. I actually printed this off last year and pulled it out last week…hoping to make an attempt at one!! Thanks again for sharing!